PAX East '13: Finding the Voice of "Transistor"
I have to reveal a personal bias about this game; Bastion was one of my favourite titles from 2011. The combination of the action-RPG genre, with an innovative narrative that employed the 3rd person perspective to tell their story, made this game stand out amidst ‘AAA’ titles like Uncharted 3: Drake’s Deception and Deus Ex: Human Revolution. 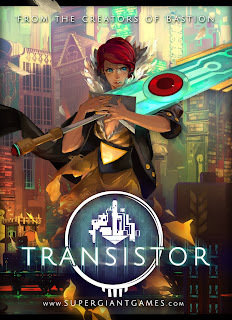 Pardon me then, for eagerly anticipating Supergiant Games’ latest, Transistor, which was on the show floor at PAX East 2013. 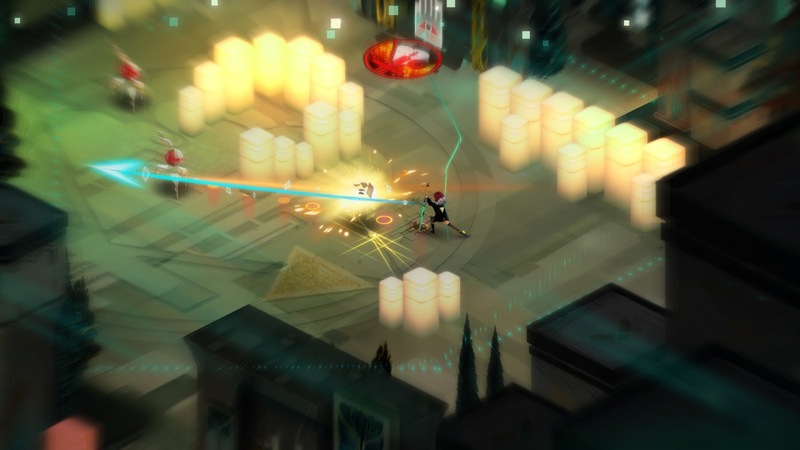 The studio began work on Transistor after they initially released Bastion on XBLA and Steam. 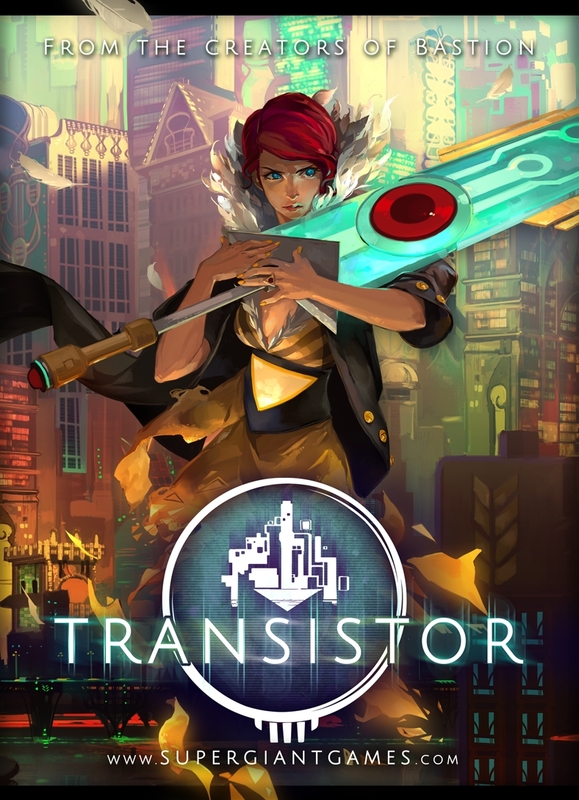 They were also working on porting their debut title to other platforms and, as a result, it has taken them a bit longer to reveal Transistor. The game will see the player control Red, a famous singer in this futuristic society, after someone unsuccessfully attempts to assassinate her with a weapon called Transistor. While Red loses her voice, she does end up in possession of the weapon and embarks on a journey to reveal why she was targeted, with this specific weapon. “We build games around our own pre-occupations,” said Amir Rao, Co-Founder of Supergiant Games when speaking of Transistor’s origin. Transistor plays at a slower pace than its predecessor, thanks largely to the implementation of the “planning stage,” a turn based feature that allows Red to slow down time and move into a better position to attack her enemies. “We have four different enemies that [are] in the demo,” Rao states while also reassuring that there will be many more to defeat upon release. “The planning mode allows us to create sort of a more brutal, fast paced enemy faction,” Rao says of the monsters, known as The Process. While use of the “planning stage” will be optional for players, it did seem like the most efficient way to defeat Red’s foes in the demo. The player also won’t have to cycle through multiple weapons in Transistor. Rao suggests any weapon upgrades will focus heavily on Transistor, as it is such an integral part of the story. Transistor will also feature traditional RPG elements, not included in the playable demo, which Rao hopes will come together nicely with the more unique game-play elements the studio is working on. The narrator is more directly involved with the story in Transistor. Rao says players can expect a different perspective of the story due to this change. Don’t worry though, it sounds like Logan Cunningham will once again be the voice of Transistor. The show-floor was loud, and while it was often difficult to hear another person, let alone voice-over in a trailer, the music of Transistor stood out a lot. In-game music will be reliant on how the player uses the available mechanics, though the tone will be reliant on the city itself. Also, the protagonist is a professional singer; it’s safe to expect some amazing music there as well. Bastion was a critical darling, praised for its narrative genius. With the praise, came increased expectations for the studio’s next game. Rao is not yet sure which platform the game will be available on, or if it will be multi-platform for that matter. He also isn’t sure where the game will appear next, saying the studio has spent its time and efforts, preparing for PAX East 2013. The efforts paid off as there was rarely a moment where the waiting time at the Supergiant Games booth was less than two hours. The game is slated to come out early 2014.